I'm doing the Holiday Paint Out over at Creative Catalyst Productions, and this is my first entry. The prompt was the word "community" and I thought about Thanksgiving. 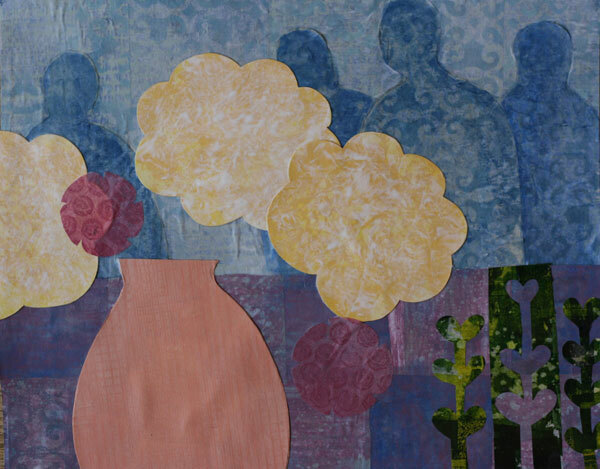 I was trying to evoke a sense of being around a table but your perspective is up through the flowers. As I learn to draw better hopefully I'll do a better job at capturing gesture and all of that. But until then, basic human shapes it is! 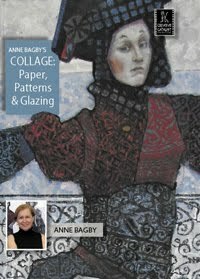 I used a mix of Anne Bagby 2 (Pattern & Form: Advanced Collage Techniques) and Jane Davies (DVD release set 2012) for the papers. To see the steps, click "read more" down at the bottom.